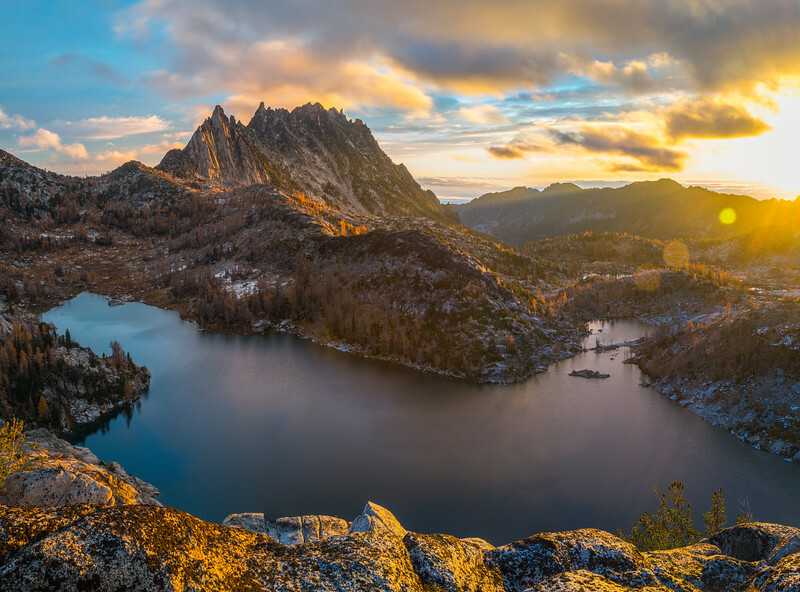 My sunrise view from the Enchantment Lakes after the snow and rain moved on. About 8000' feet up, 8 miles in, with the best tent site in town. This shot is a panorama of 3 vertical shots using a Singh-Ray polarizer.